TGIF and it is SYSF! Yes, two abbreviations in one short sentence. But hey, it is Friday which means the week is coming to an end. And what a cold week it was in NYC with temperatures as low as minus 13 Celsius. But off to sunnier topics. Today’s Share Your Style Friday (SYSF) pic comes from Cheptoo Ng’ok. 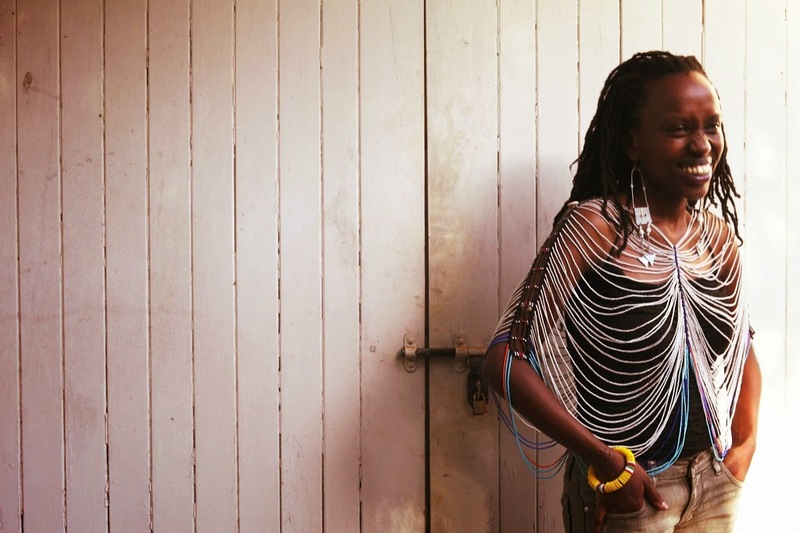 She is a choreographer/artist based in Nairobi who also has an interest in African styling, costume design and how African bead work can be used in more contemporary ways. Cheptoo is wearing a Dinka ‘blouse’ or Alual. The earrings are Tanzanian Maasai and the bracelet is a Kenyan Maasai design. Love the Dinka blouse – great statement piece that works in a casual mix like on the pic as well as in a combination with a simple, elegant dress. So what do you guys think about the “beaded” styling – is this look hot or not? Comment below!